Everywhere we look we see cities and countries on fire, under water, and all shook up from earthquakes. Here are just a few shots of the earth moving experiences. Don Quixote would love this; he could beat up on a windmill and then take on the power plant as a desert. 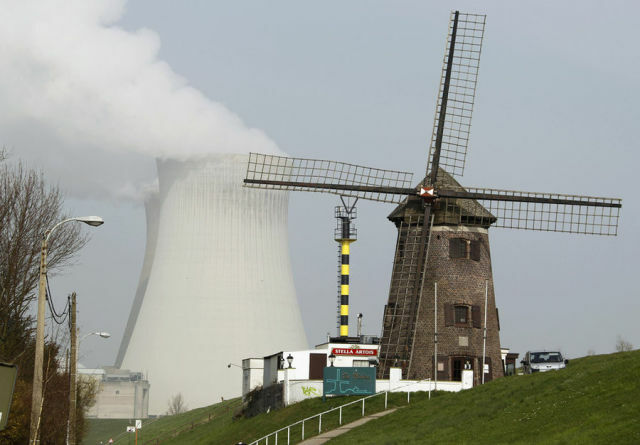 This scene was shot near the Doel nuclear plant in northern Belgium. 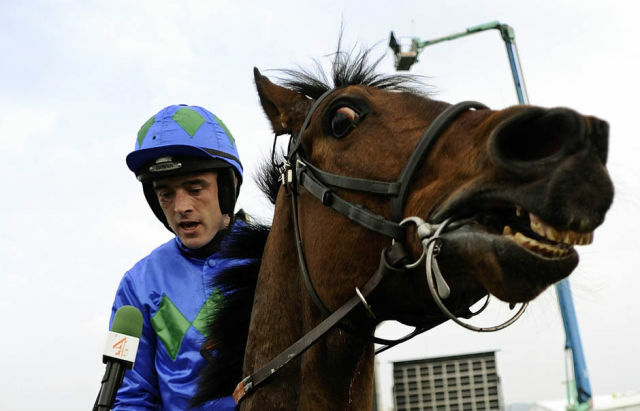 Hurricane Fly the winner of the Champion Hurdle doesn’t look to pleased to be in the winner’s circle. 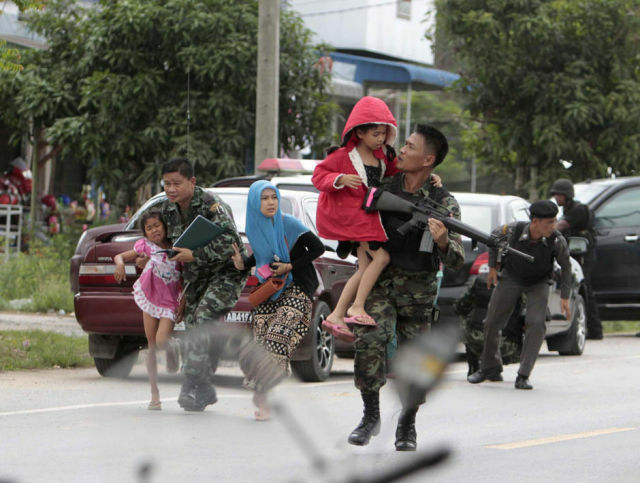 These soldiers take children out of an area where Muslim separatists were shot dead. 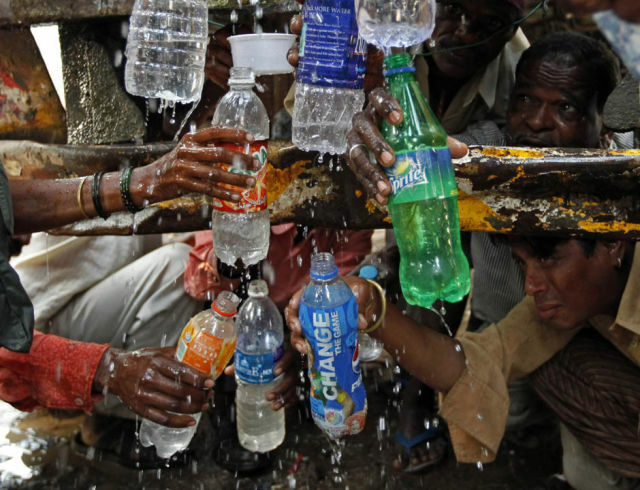 These demonstrators gather around a tanker to collect drinking water in bottles during demonstrations by forest dwellers and tribals as they demand rights about their forested areas. 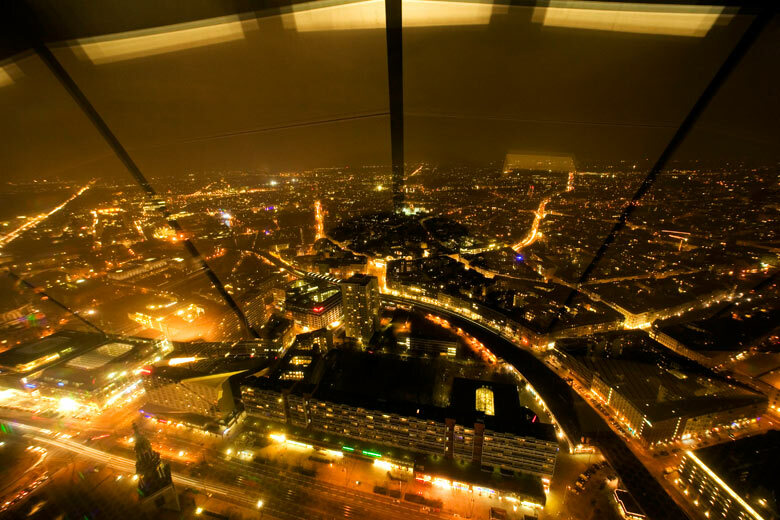 This is a view of what was former East Berlin. The shot was taken from the Fernsehturm near Alexanderplatz. Mini bus is carried to the Cidade de Deus in Rio de Janeiro for sale. 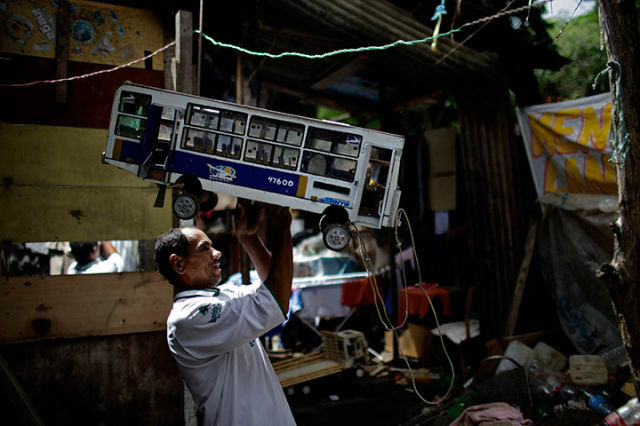 This man creates these mini busses by hand. 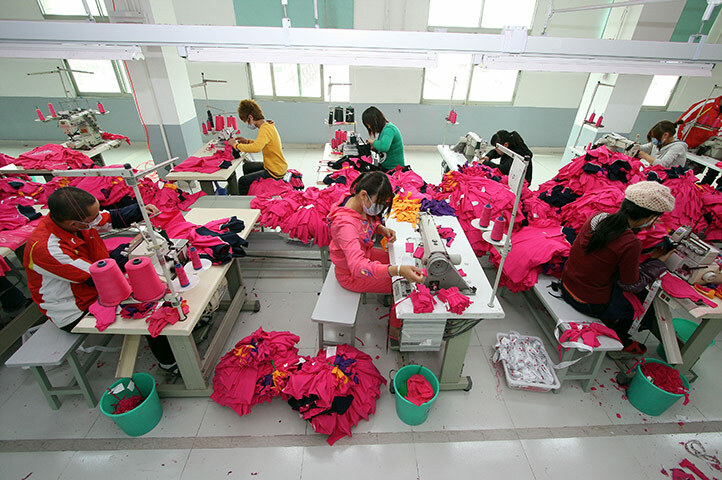 Laborers working hard at this clothing company in JinJiang, China. 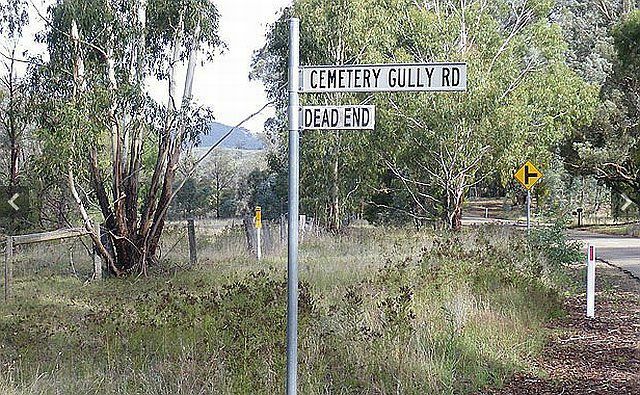 This is the end, really as the signs tell us. WHat is that jaw, which animal?